Nowadays, some people are reporting problems with the voice. 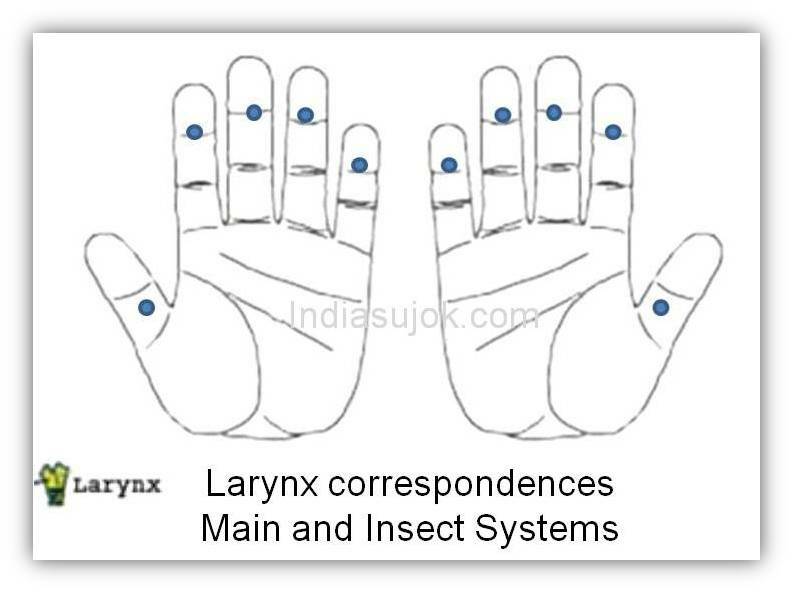 If it is a case of laryngitis or similar issue with the larynx, or ‘voice box’, these are some of the correspondence points. Locate the ones that are painful on pressing Massage them, then place a black pepper seed on 3 -4 points with a medical tape. The seeds can be left on for 8 – 10 hours. This will help in healing, and can be used with any other therapy that you are using. If the problem persists for a few days, you can also contact your Sujok therapist. Disclaimer: The views in the blog are not meant to replace medical advice. Posted in Understanding Sujok and tagged laryngitis, larynx, voice on June 12, 2013 by Meenakshi ~ Journey In Wholeness.